Several tents were overturned at a campground just south of the Spanish Harbor Channel Bridge after a tornado hit Big Pine Key early Friday morning. 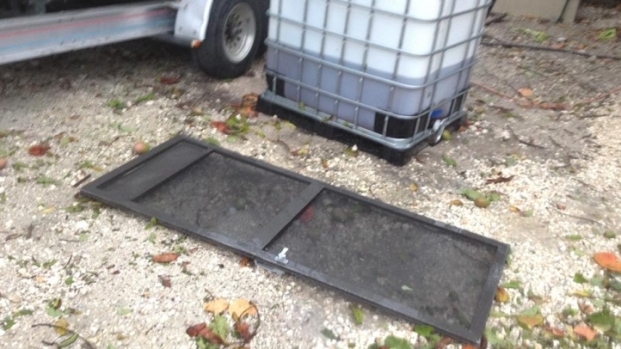 A small tornado with gusts between 75-80 mph sent a dock with four kayaks airborne on Big Pine Key early Friday, the National Weather Service said Saturday. A strong thunderstorm produced a waterspout – essentially a tornado over water – that was backlit by frequent lightning as it approached the Long Beach Estates community from the west-southwest. It moved ashore along the ocean side of Long Beach Drive, on the extreme southern part of Big Pine Key, the National Weather Service said. 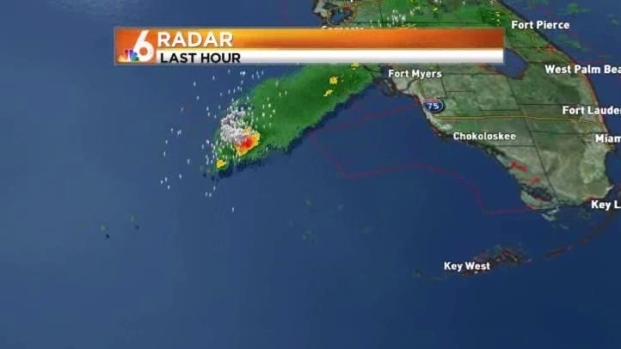 The waterspout made landfall and became a tornado at about 3:10 a.m. Friday, which is a rare event for the Florida Keys, said Bill South, a senior meteorologist in the National Weather Service’s Key West office. “It’s fairly uncommon. We might have one landfalling waterspout every 10 years or so,” he said. The tornado was rated an EF-0, which is the least intense type of tornado. A tornado watch was in place for mainland Monroe and Miami-Dade and Broward counties on Thursday. An unusually strong Florida tornado ripped through Broward County Tuesday night, leaving behind damaged homes and devastated families in Sunrise and Plantation. The twister stayed on the ground for 2 miles, was an estimated 80 yards wide, and had 75-80 mph wind gusts that lasted an estimated 3 seconds each. It left widespread damage to large limbs of hardwood trees, and tossed a ground deck with four kayaks airborne, with the dock being dropped more than 30 yards from its original location. A 40-pount steel lounge chair was lifted about to the roof life of a two-story home, crushing part of its gutter, and a large, unmounted above-ground cistern contained nearly 200 gallons of water was moved just over 15 yards, knocking a large camping trailer off its front mount, the National Weather Service said. After the tornado came ashore it continued across mud flats on the southeastern edge of Coupon Bight, and eventually crossed through a campground just south of the Spanish Harbor Channel Bridge. Several tents were overturned before the tornado either crossed the channel or dissipated soon afterwards, the National Weather Service said. There were no injuries, South said. He said the more intense tornadoes the Keys see are usually associated with the outer rain bands of tropical storms and hurricanes. That’s when an EF-1 or EF-2 tornado is more likely, while landfalling waterspouts are generally EF-0s, South said.